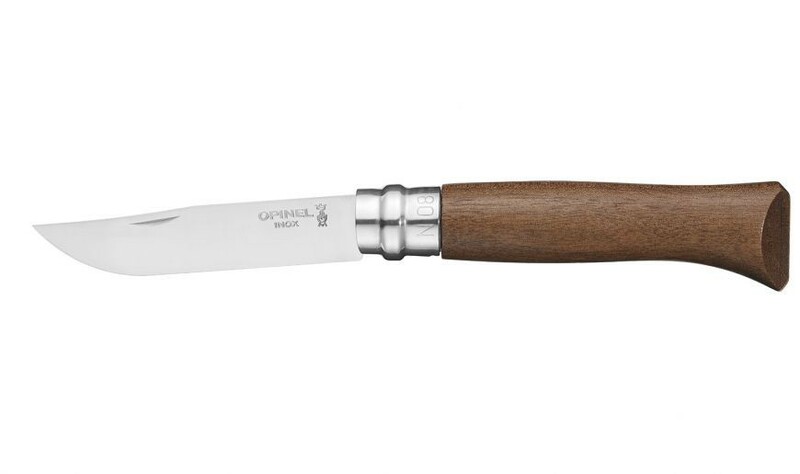 This is the classic Opinel pocket knife with a handle in walnut or oak wood. 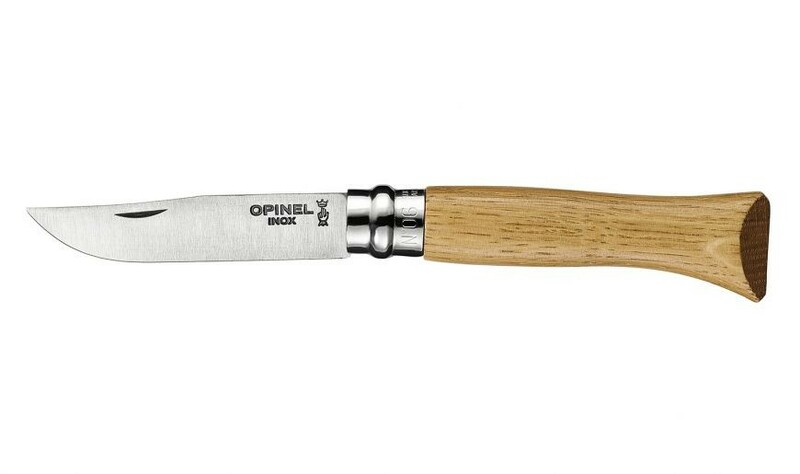 For the blade of this classic one Opinel uses Sandvik 12C27 modified stainless steel. It is corrosion-resistant thanks to the addition of chromium and requires no special maintenance. 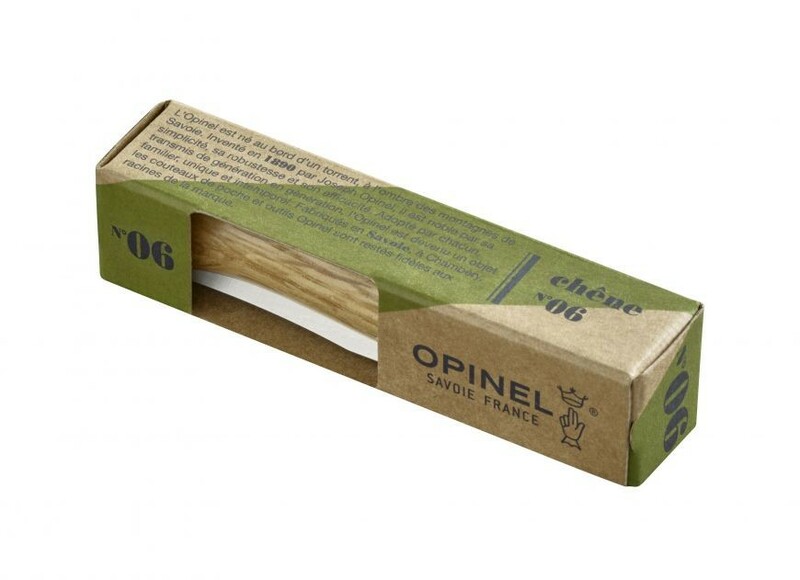 The carbon content of at least 0.40% ensures an excellent cutting edge. 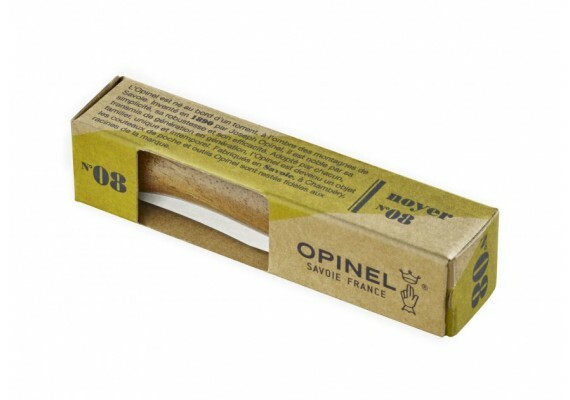 The blade is 8,5 cm long.